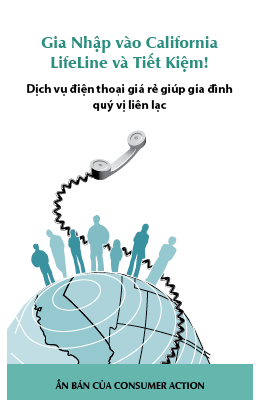 Library: Vietnamese | IP Transition: Making the Switch (Vietnamese) The next communication evolution. 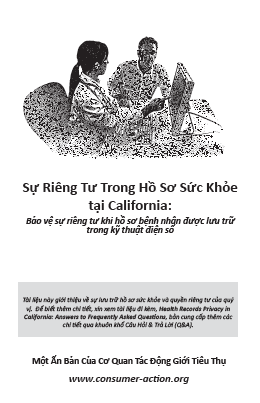 Library: Vietnamese | Health Records Privacy in California (Vietnamese) Bảo vệ sự riêng tư khi hồ sơ bệnh nhân được lưu trữ trong kỹ thuật điện số. 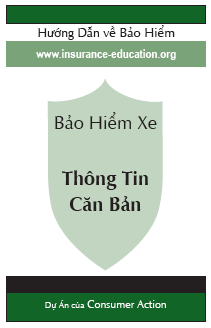 Library: Vietnamese | Connect to California Lifeline and Save! (2018) (Vietnamese) Discounted telephone service can help your family stay in touch. Library: Vietnamese | Cell Phone Savvy (Vietnamese) How to avoid problems with your wireless device and service. 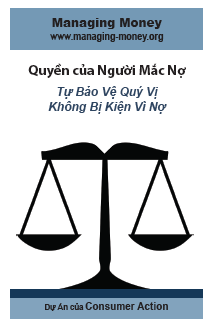 Library: Vietnamese | Your Digital Dollars - Safety and privacy in online and mobile transactions (Vietnamese) Protect your identity and data while banking or paying digitally.